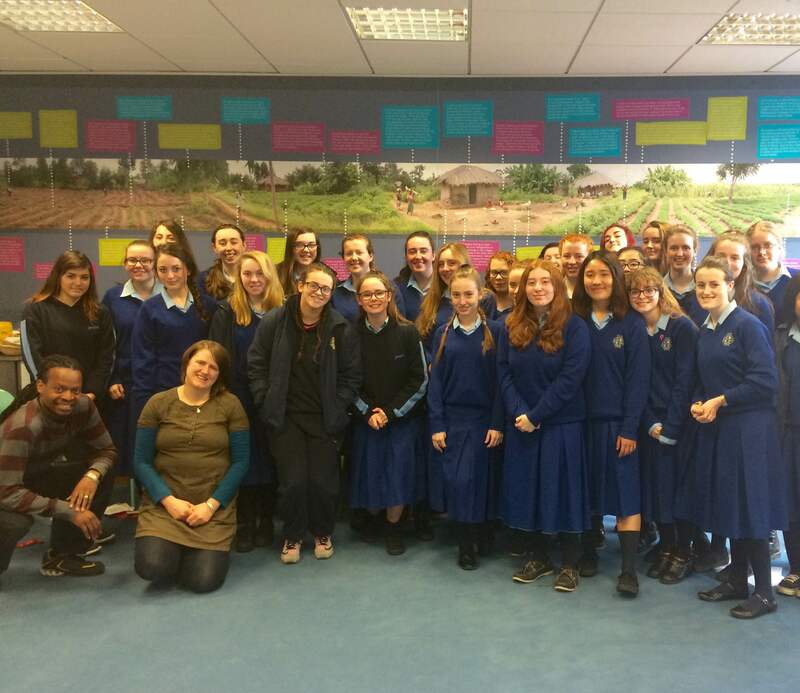 Transition Year Students visited the Irish Aid Centre in the Department of Foreign Affairs Building in Dublin 2 this week to learn about the work that Irish Aid does to support developing countries. The students participated in an interactive workshops aiming to challenge our stereotypes and preconceptions around poverty and hunger. Pictured here are Ana Barbu and Michael Chanda-workshop facilitators. Many thanks to all the staff in the Department of Foreign Affairs for an insightful and challenging workshop. Tuesday March 15th 2016 was celebrated as Proclamation day at Maryfield along with schools throughout the country. All the students participated in a moving and enjoyable ceremony that included a time for respectful reflection and some fun cultural activity. The Irish Proclamation was read followed by our own Proclamation for a New Generation in which we voiced our vision for a peaceful and inclusive Ireland. We raised our new flag and then sang Amhrán na bhFiann. As part of our creative input to the event each student prepared a coloured piece of card reflecting what it means to them to be Irish. We raised these green, white and orange cards on Proclamation Day to form our own national flag. Our event concluded with some céilí dancing that was very much enjoyed by all. Ceiliúradh Lá an Fhorógra ar an 15 Márta i gColáiste Pháirc Mhuire, mar aon le gach scoil eile sa tír. Ghlacamar go léir páirt i searmanas ina léigheamar an Fhorógra chomh maith lenár bhForógra féin do Ghlúin Nua. D’ardaíomar brat na hÉireann agus ansin chanamar Amhrán na bhFiann. Chríochnaigh an ócáid le céilí. Our vibrant Student Council ran a very enjoyable Easter Egg Hunt just before the Easter Holidays. Each year group lined up at the front of the school in anticipation of a race to search for hidden eggs on the front field. Students charged in all directions after the starter’s orders in the hope of finding the coveted prizes.